– “Sport is the shared language of Central Europe”: on September 27th, Hungarian Prime Minister Viktor Orbán inaugurated the TSC Football Academy in Topolya/Bačka Topola in Serbia, which was launched with a 9.5 million-Euros donation from the Hungarian Football Federation. Situated in Vojvodina, a region in Northern Serbia with a large Hungarian minority, the project seems to be aimed at maintaining good relations between the two countries, as well as appealing to the local Hungarian population, a pool of potential voters for Orbán under the 2011 Hungarian nationality law. – Diplomatic tensions between Hungary and Ukraine continued throughout the month. Hungary has engaged in a diplomatic battle with its neighbor for more than a year, following the passing of a law in Ukraine that weakened the teaching of minority languages in schools. As this law will undoubtedly affect the 150,000 ethnic Hungarians living in the Zakarpattia/Transcarpathia oblast in Ukraine, the Hungarian government took a strong stand against it and has since vetoed every proposed meeting between Ukraine and NATO or the EU. The Hungarian government eventually showed itself willing to defuse the situation and declared on October 15th: “Hungary has an interest in maintaining good neighbourly relations with Ukraine.” Moreover, it proposed a minority protection treaty a week later, while attempting to appease its neighbor with a promise to release funds for the development of the Zakarpattia/Transcarpathia oblast. As for now, however, Ukraine has not officially reacted. – Starting in October, two laws previously passed in July came into effect in the country. The first one concerns freedom of assembly and virtually gives the police the power to forbid any kind of demonstration. The second act of legislation turns homelessness into an offense punishable by imprisonment. 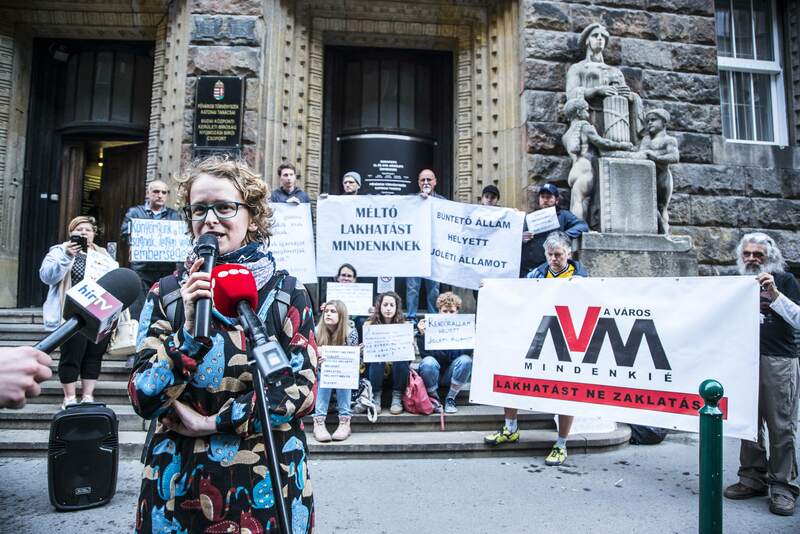 Here you can find more on the topic through the lense of A Város Mindenkié (The City is for All), an NGO fighting for the rights of homeless people in Hungary. – Following a V4 (the Czech Republic, Hungary, Poland and Slovakia) meeting in Slovakia, Szijjártó declared on October 1st that an express railway between Budapest, Bratislava, Brno and Warsaw was to be built. The project would improve the connection between the V4 countries and might be partially financed through the European Investment Bank. – On October 6th, the Minister of Innovation and Technology, László Palkovics, announced the upcoming privatisation of all Hungarian universities. At present, some are state-owned and state-funded. The process was in fact set off a few month ago with the Corvinus University of Budapest, which is already on track to become a private university in 2019. For Eva S. Balogh, far from being concerned by academic independence and performance, the Hungarian government might actually be tempted to turn “universities into business entities that either sink or swim,” further weakening an academic establishment that is deemed too liberal for the current regime. 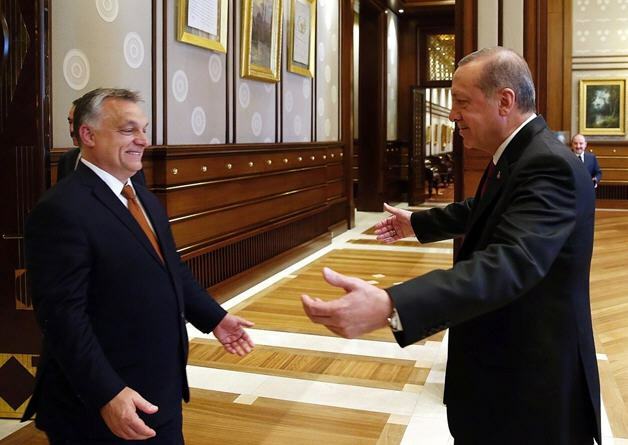 – The Turkish President Recep Tayyip Erdoğan was invited to Budapest by Hungarian President János Áder on October 8th-9th. Erdoğan’s visit gave room for a practical test of the new regulation on public assembly: while the Democratic Coalition (DK) party was denied the right to hold a protest in front of the Hungarian Academy of Science, a group of pro-Erdoğan Turkish expats were permitted to stand at the very same spot to welcome the presidential cortege. Orbán and Erdoğan inaugurated the mausoleum of the Ottoman poet Gül Baba (who died in Buda in 1541), restored with funding from the Turkish state. The two leaders moreover called for strengthening ties between the two nations, and the talks mostly revolved around economic and security cooperation. – On October 16th, the court of Eger (a mid-sized city in northern Hungary) condemned the Hungarian state for discrimination against sixty Roma pupils of a school in the village of Gyöngyöspata, 80 kilometers East from Budapest. The students had been placed in special classes based on their ethnicity, a practice not uncommon throughout Central and Eastern Europe and regularly denounced by NGOs. The Eger ruling was the first time that legal action of this size has been undertaken. – Commemorations of the 1956 Hungarian revolution were organised on October 23rd. In October 1956, an attempt to revolt against the Soviet-backed Hungarian socialist government took place in the country, before being severely crushed by Soviet troops. – As one may recall, the Central European University (CEU) of Budapest was targeted with an amendment to the act on higher education in 2017 in the context of an open conflict with its founder George Soros. This amendment demanded, among other things, that foreign universities operating in Hungary have a campus in their country of origin, putting the CEU, which had no campus in the United States, in a difficult position. While the university has since then complied with the requirement, the Hungarian government has been slow at signing the agreement necessary to give accreditation, most likely on purpose. Therefore, on October 25th, the rector Michael Ignatieff gave the government an ultimatum, explaining that if the agreement would not be signed before December 1st this year, the CEU would move to Vienna, Austria in 2019. – Near the end of the month, the government announced its intention to grant voting rights for the 2019 European elections to Hungarian citizens living outside the EU, representing about 80,000 potential voters.